Can acupressure relieve sinus pain and pressure, or sinus allergies? We have some acupressure points that may help you out. There are several different problems that can happen to your sinuses to cause pain, irritation, stuffiness in your nose, or other annoyances in your body. Whether you suffer from common allergies, or a serious sinus infection, I believe that acupressure can help relieve the physical symptoms that you're experiencing. It may even help relieve the underlying problem to get rid of it for good. That's because acupressure is an energy-based healing technique, not a biologically-based method like prescription pills. Acupressure works by stimulating the flow of energy through your body's spiritual energy pathways, usually known as acupuncture meridians. The basic energy of life flows through these pathways and helps sustain your body. It helps keep every part of your body operating at maximum performance and health, including your sinus system. When this energy becomes disrupted, disease and negative physical health issues can arise in the body. The solution to this energy disruption is to rebalance the energy by stimulating the acupuncture points around the body. You can stimulate acupuncture points in a variety of ways, such as with needles in the process of acupuncture. 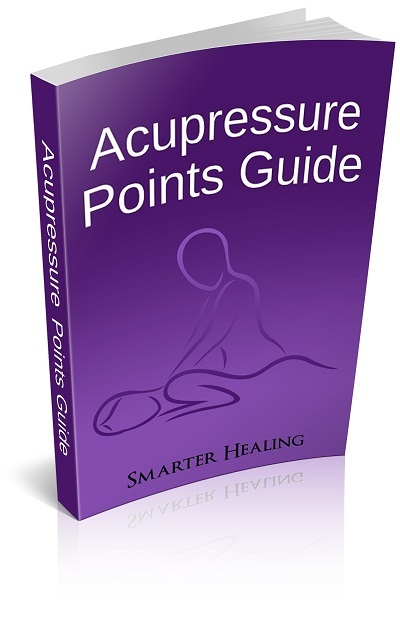 Or, you can do it yourself at home with the healing art of acupressure. It's believed by energy healing practitioners that different acupuncture points are more suited for relieving certain problems around the body. This is because each point lies along a meridian pathway, and each meridian pathway is associated with a different organ or function of the body. On this page we've assembled some acupressure points that should be effective at relieving all sorts of sinus problems, including common allergies like hay fever. Let's take a look at these acupressure points for sinus problems. 1. Bladder 2, found on the face, on the inside edge of the eyebrow, slightly inside the indentation of the eye socket. Use this acupressure point of the Bladder meridian to relieve all sorts of sinus problems, including sinus pain and allergic reactions. It will be effective at reducing headache pain, restoring blurry vision, relieving red and irritated eyes, and helping relieve your eyestrain. 2. Bladder 10, on the back of your neck, about a half inch below the bottom of the skull, about half an inch to the side of the spine. 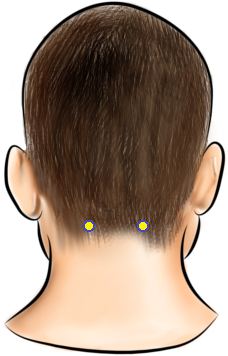 Use this acupressure point on your neck area to relieve your head congestion. It will also help reduce symptoms of hay fever, including swollen eyes and even sore throat. It can also help with other head-related issues like a stiff neck, and even mental issues like stress and emotional exhaustion. 3. 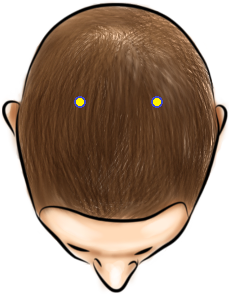 Bladder 7, on the top of the head, straight up from the back of your ear, about a thumb width down from the center of the line dividing your head from left to right. Use this pressure point to relieve headaches and sinus congestion. It will also help improve issues with your nose, such as reducing a stuffy nose, and improving your sense of smell. 4. Large Intestine 20, located on your face, adjacent to the nostril. This acupressure point will relieve sinus issues such as pain and congestion. It will also help reduce physical symptoms in your face, such as swelling of the cheeks and facial paralysis. 5. Stomach 3, found on your cheek, at the bottom of the cheekbone, directly below the eye. 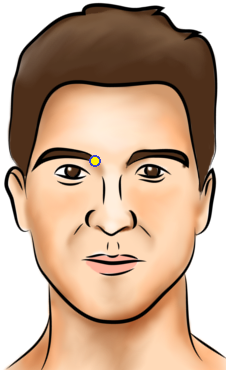 This face point will relieve all manner of problems with the head. It will relieve a stuffy nose, head congestion, and eye issues like fatigue or burning sensations. It will even help relieve a toothache. 6. Governing Vessel 20, on the top of your head, along the center line dividing the left and right side of your body, straight up in a line from the back of your ears. This powerful Governing Vessel acupuncture point will relieve problems related to your head and brain. It will treat sinus congestion and headaches, and even improve the performance of your memory and mental concentration. 7. Governing Vessel 24.5 (between GV24 and GV25), found right above your nose, in between your eyebrows. While not an actual acupuncture point, this point known as the "third eye" in spiritual circles can be used for acupressure nonetheless. Using this point will relieve head-related problems, such as hay fever symptoms and sinus congestion. It will also help with headaches and eye strain. 8. Governing Vessel 26, on the upper lip just below the nose. 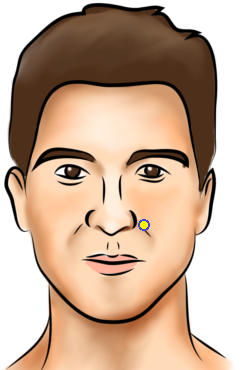 Use this pressure point on your lip to relieve nose problems like sneezing and hay fever symptoms. It will also help with fainting (lightheadedness) and dizziness. 9. Large Intestine 4, found on the back of the hand, on the skin between the thumb and pointer finger, right at the edge of the muscle that connects the fingers. Use this easy to access point on your hand to relieve head problems like headaches and sinus pain. It will also help with your hay fever symptoms and head congestion.